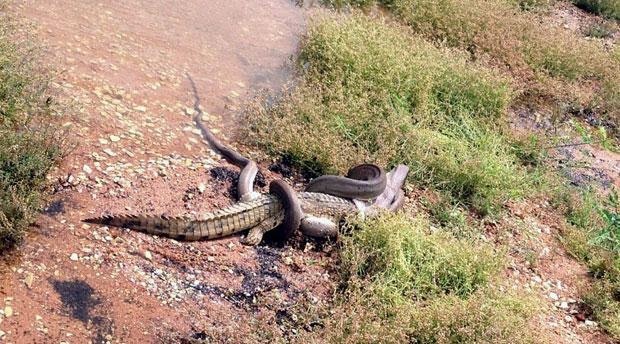 After 5 hours of grappling, a 3-meter long python has managed to take down the crocodile's defenses. 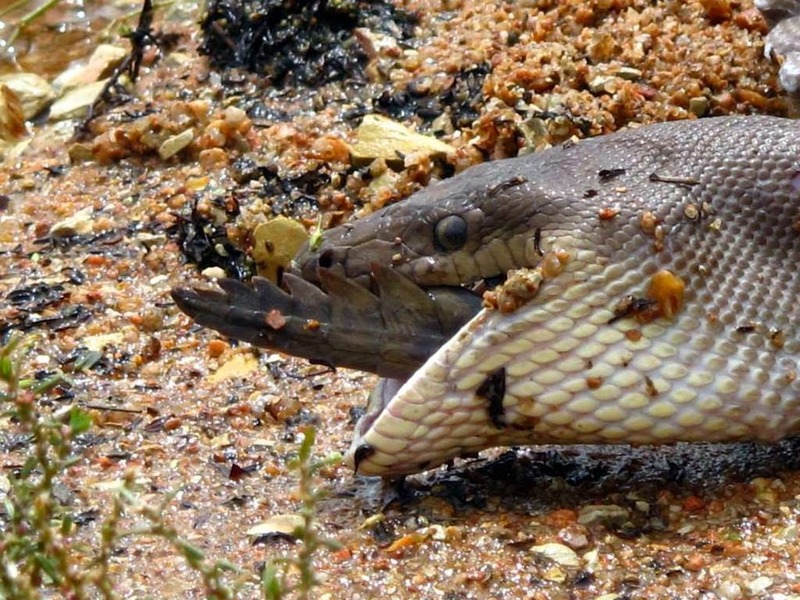 Caught on a video in Queensland, Australia, the snake has unbelievably gobbled the crocodile in just 15 minutes. 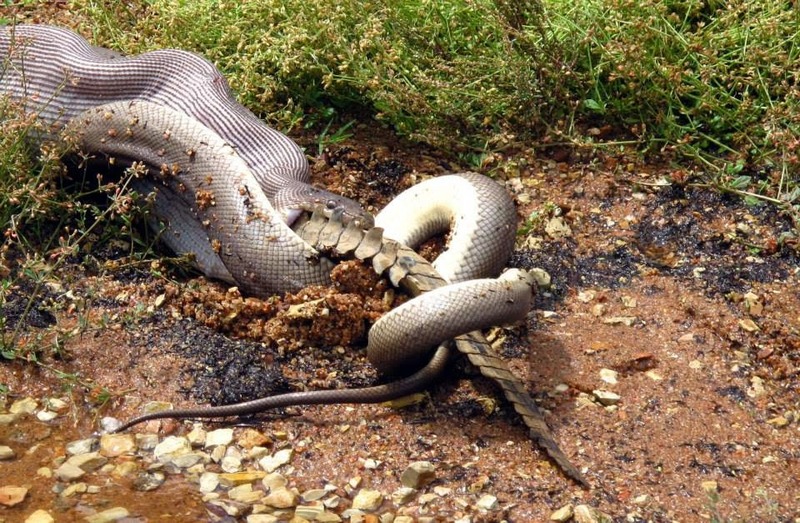 That left the entire watchers in amazement, as told by Tiffany Corlis who told the story as a witness of this rare scene. Check out the video for further action here.